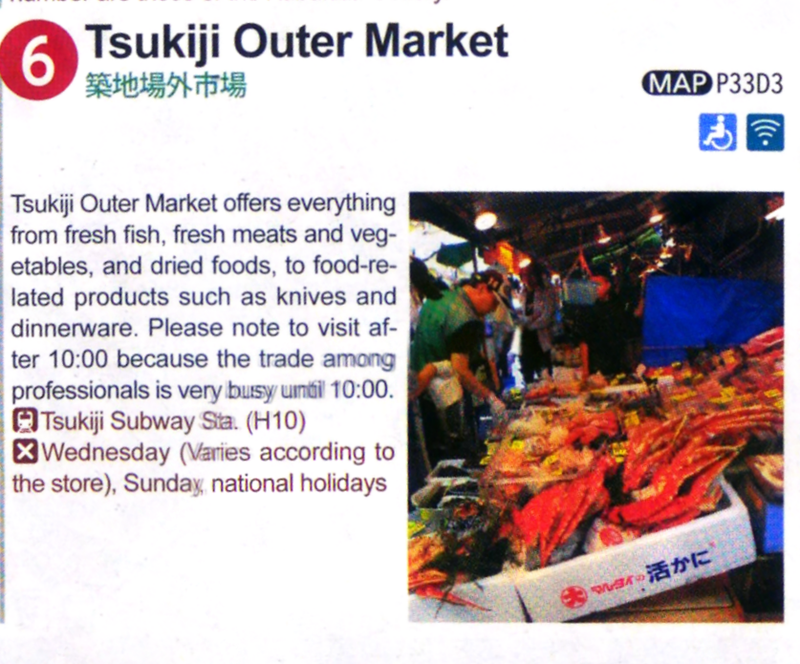 At the outer market, there were a lot of small stalls selling all kinds of seafood, from crab to shrimp, from eel to tuna. 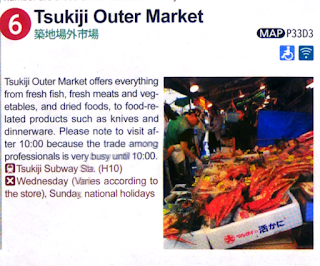 I found the that the outer market was consisting of many temporary stores. 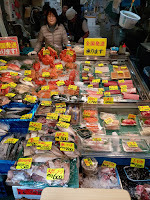 Apart from selling fresh seafood, some were small stalls selling cooked food such as Ra-men and sashimi. 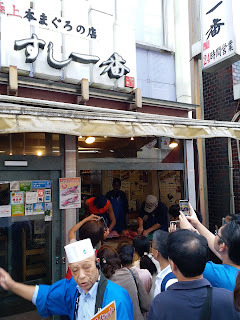 A lot of tourists came it everyday. If you want to know the cultural and social importance of the Tsukiji market, please read Theodore Bestor’s book entitled “Tsukiji: The Fish market at the Center of the World” of 2004 by Berkeley: University of California Press. This book is about Japanese markets, it explores the current of collusion, favoritism, and efficiency in the markets. Also, it touches on the relationship between trade cartel and government bureaucracies, and patterns of insider trading. 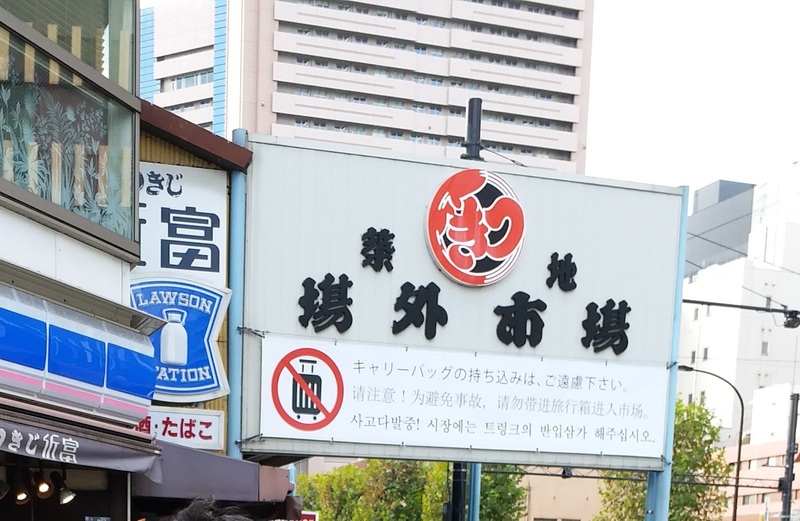 According to Bestor, his book is an ethnography of trade and economic institutions as they are embedded in and shaped by the cultural and social currents of Japanese life. 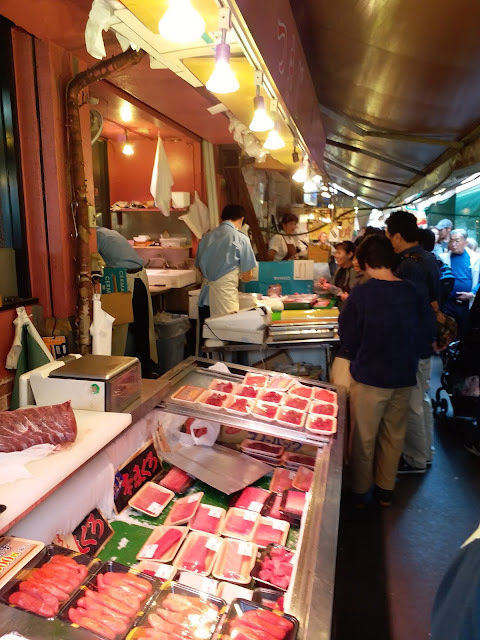 Also, he suggests that Tsukiji represented the national cultural identity that cloaked cuisine; it was also an international market connecting global fishing industries.